So you recently bought a new house? Awesome! The excitement of living in a new home or new city is invigorating – that is, until you remember that you have to move ALL of your belongings to your new address. Before the panic sets in, give UNITS a call. We can successfully handle all of your Antioch portable storage needs, transporting your furniture and other belongings to your new home. The neat thing about UNITS portable storage containers is that YOU get to do all of the packing. No more worrying about movers breaking your dishes or scuffing your beautiful furniture. Our drivers deliver your UNITS to your location, you fill them up, and when you’re ready we transport them to your new address. And you provide the lock, so no one else has access to your valuables. Don’t let the stress of your move get to you. Instead, make UNITS the first ones you call, and you’ll finally know the true meaning of a hassle-free move. Are you prepping for a long-distance move? 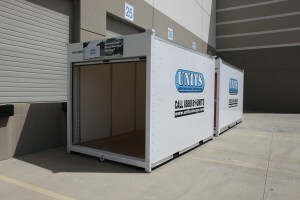 UNITS portable storage of Antioch can help you get where you’re going. Whether it’s elsewhere in California, or across the United States, our team can help you get your things to your new destination. 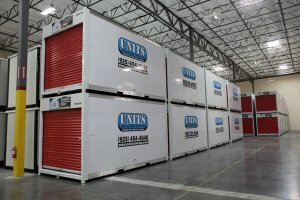 UNITS is a unique way to transport your belongings. Our containers are mold, UV, and water resistant, and offer transparent rooftops for optimum indoor visibility. You don’t have to wrestle with unwieldly moving trucks, and you know that your belongings are in the hands of professionals. Call today for more information.